Do you want free Wi-Fi access? Do you want to get install app which helps you to get an access point of wifi device? Then you need to download and install WPS WPA Tester Premium Apk files on your android mobiles and tablets. We have provided the direct download WPS WPA Tester Premium Apk link for your android mobiles and tablets for free. With this app, you can get free access to any Wi-Fi access with a single click. In this app, PINs are calculated with many algorithms like Zhao, TrendNet, Dlink, and Arris. 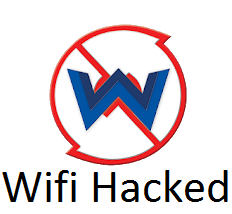 We have provided the download WPS WPA Tester Premium version apk files for your android mobiles and tablets for free of cost and if you have already installed the free version then don’t install this app on your devices, first you have to uninstall the free version and then you can proceed to install WPS WPA Tester Premium Apk file on your devices. Below are some key features and download links you can proceed to download and install it from there.